Leslie Flake recently joined Spectrum Healthcare as SVP Finance Spectrum Health Hospital Group overseeing 12 hospitals, multiple joint ventures, and a variety of ambulatory sites throughout the Western Michigan region. Prior to SpectrumLeslie served as Piedmont Healthcare’s Physician EnterpriseChief Financial Officer consisting of over 2,500 Providers in their employed medical group and clinically integrated network. Leslie has more than 17 years of experience in financial and operational leadership, primarily with healthcare organizations. She first worked for Banner Health in 2001 as a financial analyst for Home Care and Hospice and left the organization in 2004 to work in commercial real estate.She returned to the health care industry in 2008 working in Finance for Vanguard Health at Phoenix Baptist Hospital. In 2011 Leslie became CFO forSimon Medical Imaging, a national diagnostic imaging service provider majority owned by Dignity Health with more than 65locations across nine companies.During her tenure at Simon Med, she developed the long term strategic plan and capital budget as well as managed three multi-million dollar acquisitions.Leslie returned to Banner in 2012 as CFO and Chief Compliance Officer forBanner Gateway Medical Center and MD Anderson Cancer Center and then in 2015 moved to VP and Regional CFO for Banner’s 1,600 ProviderMedical Group. Within the medical group, Leslie provided strategic development for year-over-year growth that helped support employed and independent providers. She was integral to Banner’s strong financial footing including contributing to several provider and staff productivity and compensation models as well as enhancing revenue cycle performance and expense management. Leslie has broad experience with partnering with managed care teams and implementing value-based contracts with a variety of insurers. 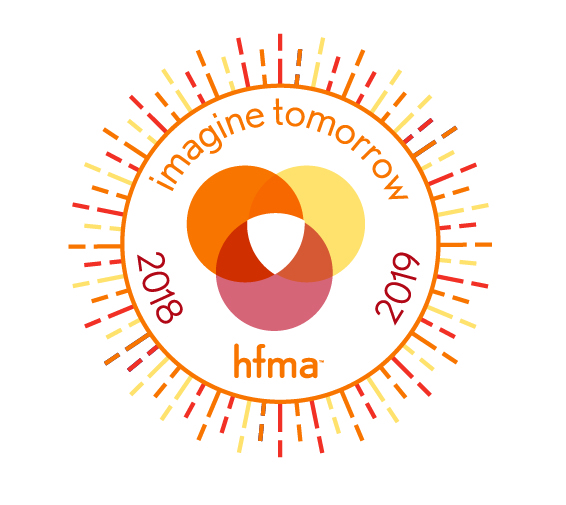 Leslie has been involved in the Arizona chapter of Healthcare Financial Management Association since 2014 and currently serves as thePresident Elect on the AZ HFMA Board. Leslie holds a Master of Business Administration (MBA) from Brigham Young University’s (BYU) Marriott School of Management and a Bachelor of Science in Nursing from BYU. Kevin M. Lockett is Chief Financial Officer of Mayo Clinic in Florida.Mr. Lockett received his MBA/MHA degree from Tulane University. He is certified by the Healthcare Financial Management Association (HFMA) as a certified Healthcare Finance Professional (CHFP) and has the academic rank of Assistant Professor of Healthcare System Engineering from Mayo Clinic College of Medicine. He is a senior finance/administrative executive with 27 years of healthcare experience and a diverse background that includes: Board level leadership, external business relationship development, multi-site leadership, revenue cycle leadership, payer and provider collaborations, compliance and integrity plans, quality improvement and project management techniques, leadership mentoring and healthcare consulting. Selected career highlights include: selected by HFMA for career progression, professional commitment and leadership accomplishments, being an author or technical contributor for six (6) publications in Health Financial Management Magazine, and guest lecturer for University of North Florida’s Healthcare Administration Program. He has worked at Mayo Clinic for 22 years. Paul Osborne, Managing Director in BRG’s Healthcare Performance Improvement Practice is the leader and co-founder of the Practice. He applies more than 20 years of operations improvement experience to healthcare provider clients including hospitals, health systems, academic medical centers, and physician practices. He has held senior leadership positions with some of the largest healthcare consulting and financial advisory firms in the United States. Mr. Osborne is a recognized national expert in healthcare performance improvement, having assisted both financially distressed and financially stable hospitals in improving their operating margins. He has extensive experience advising and implementing performance improvement solutions to healthcare provider clients as they overcome complex financial challenges. He has successfully led some of the country’s largest and most complex hospital performance improvement engagements. Thomas Myers is principal at Myers Advisory, LLC where he helps provider organizations understand and leverage market dynamics as they prepare for value-based care and other competitive changes. In addition to consulting work with key clients, he publishes annual guides to ACO performance, the Point!Guide ACO Performance Report and Point!Guide ACO Directory. Myers Advisory also maintains electronic publications summarizing hospitals' financial, operational, and quality performance as well as market share information and physician practice data. Prior to founding Myers Advisory in 2017, Myers served as Chief Strategy Officer & VP of Market Operations for a national revenue cycle management and clearinghouse company. Myers previously worked with IBMGlobal Business Services, focusing on corporate and customer relationship strategy. He holds master’s and bachelor’s degrees in engineering from the Georgia Institute of Technology. Dr. John M. Murphy, M.D. is President and CEO of Western Connecticut Health Network. Dr. Murphy establishes the vision strategy and key priorities for the Network, ensuring their realization by overseeing their direction for clinical development, new program offerings, and system expansion. He develops alliances with business, community, and other healthcare institutions and partners with their respective leaders in order to effectively respond to changing healthcare needs. For the last several years, Dr. Murphy has been working with the Network’s clinical leadership and community physicians to establish collaborative care delivery models that have improved patient outcomes, lowered costs, and grown the Network’s physician portfolio. His thought leadership is advancing the Network to become an integrated, health care delivery system focused on accessible, efficient, accountable care and population health management. Casey serves as the Vice President of Direct Healthcare Sales at RevSpring. Casey has twelve years of experience in developing customized patient communications and payment solutions for over 100 healthcare revenue cycle clients. RevSpring’s current dynamic patient communication process can be attributed to Casey’s understanding of client perspectives, pain points, and the overall patient experience. Casey attended Bowling Green State University with a focus in Interpersonal Communications and is a football alumnus from 1997 – 2001. He has held various leadership positions within HFMA, AAHAM and COPAM and is a current board member with the Newark Church of the Nazarene and The Wyatt Adkins Heart Organization. Jason Glenn is a Director of Revenue Cycle for OhioHealth in Columbus, Ohio and leads operations for the customer service and self-pay collections division of the Central Business Office. His team is responsible for the annual collections of over $130M in patient cash for 11 acute care hospitals and over 600 providers system-wide. Jason has over 15 years healthcare experience in revenue cycle management working in both the provider and vendor space, all with a focus on increasing patient collections, improving process efficiencies, and creating the best outcome and experience for every customer. Greg has been a Southeastern Conference football official for over 15 years. Working games in front of millions of people requires that officials work well together, prepare together, support each other, communicate with coaches/players, and ultimately officiate the game properly. He has worked 11 postseason bowl games, including the Orange, Fiesta, Russell Athletic, Holiday, and three SEC Championship games. Greg has been the Senior VP of Sales for 10 years for Frost-Arnett Company, which is based in Nashville, Tennessee. Frost-Arnett is an Accounts Receivable Management company in the healthcare industry. During his tenure, Frost-Arnett has experienced record growth and has increased its workforce by over 70%. He has been in sales and sales management for over 30 years. Marty Lotito is the Founder and CEO of Ignite Health,HQ in Franklin, TN. Proud to have been born and raised in the Appalachian Coalfields of southwest VA, and a thankful graduate of Appalachian State University in 2001. An entrepreneur whose 1st startup, Ignite Wellness launched in 2008, focused on personal wellness coaching and the business was sold in 2013. 2nd startup, Ignite Health launched in 2013, focused on making a bigger impact on population health, especially in rural communities.